Long before it was known as Oxford of the East or snubbed as Mumbai’s suburb, Pune was the city of the Peshwas. Few architectural gems from that era survive; one of the exceptions is Tulsi Baug. A temple was built in a basil garden — and hence the name — in the city at the end of the 18th century, soon after the Third Battle of Panipat that decimated Maratha power in the north. A wada, or residential quarters, and a market trading in cooking utensils, toys and Puneri jewellery sprang up around the temple. Till about two decades ago, when I first visited the city, Tulsi Baug was popular with old residents, especially the Konkanastha Brahmin families. This was the heart of old Pune, which remained intact through the centuries like the original stone and woodwork of the complex, or the huge banyan tree under which the original building came up. In the shiny, new Pune of today, ask people about Tulsi Baug and the question will be met with blank stares. The new city is still in the making, but is sharply in contrast with the old city that prided in its cultural moorings. Little has been written about the food of the Konkanastha Brahmins, unlike the food of the fish-eating Saraswats along the coast. That may be because the Konkanastha community, traditionally frugal, stayed largely within its own strictly defined world. Even in the early 2000s, eating out was considered wasteful. There were Vaishali, the south Indian restaurant on FC Road, popular with Fergusson College crowd since the 1950s, and a few pubs. However, the best food was only at home. Or, at wedding halls, where long tables were laid out, and dishes served in strict order on gleaming steel thalis — beginning with salt and lime, moving on to koshimbir (a tempered raita), vegetables, plain varan bhat with toop (ghee) and amti. The distinctively spiced dal is considered by food historians to be the precursor of sambhar, said to have originated in southern India after Sambhaji’s invasion of Mysuru. The amti, arhar dal spiced with black goda masala (a mix of many spices including dagadh ka phool, red chillies and dry coconut), is intrinsic to Puneri food. Old Pune families do have their own version of the sambhar — sweeter than that in Tamil Nadu and Karnataka. The Pune palate naturally gravitates towards sweet, as evidenced by the fondness for aamras-poori (mango pulp with poori), puran and gur poli (rotis stuffed with jaggery or sweetened yellow gram), or sheera (halwa). Even the spicy goda masala contains a bit of sweetness, a food secret that seems destined to remain unobvious.Tanmay Pendse, who belongs to an old Konkanastha family, runs a food trail in Pune. I accompany him to the Krishna dining hall on Law College Road where you can order a Konkanastha thali. Though the cooking is different from home and there are additions such as cutletketchup, the food offers a peep into the community’s kitchen. The tomato saar, a tempered tomato soup with coconut milk, is a recipe that deserves to be brought into modern restaurant kitchens. 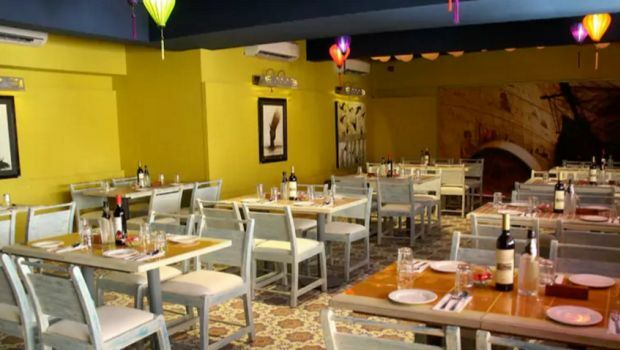 The pristine vegetarian cooking is hard to replicate within commercial establishments. Kothimbir (coriander), coconut and mustard seeds are usually the only seasoning; spicing is spartan and dishes not overtly flavoured. A comparison between the Bombay batata vada and the Pune batata vada best explains this understatedness. In Mumbai, the typical potato patty always has garlic and a bolder turmeric colouring. At Konkanastha homes, potatoes are seasoned with just mustard and a dash of lime juice. Even traditional, elite Pune had migrant foods. 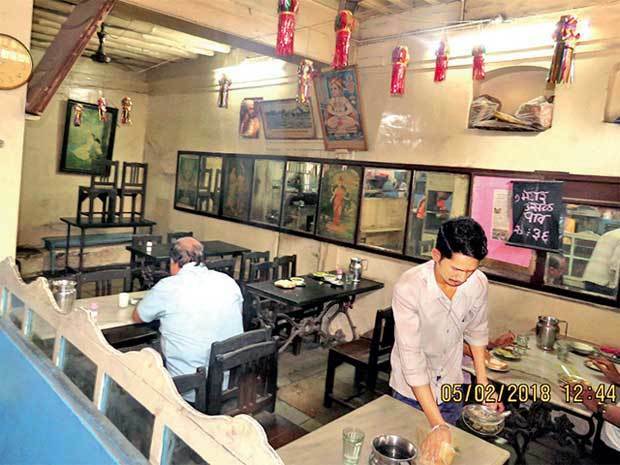 Just a few hundred metres from Tulsi Baug stands the Vaidya Upahar Gruha, a 107-year-old shop selling misal. Pendse leads me inside and we take in the Ravi Varma prints that are part of the décor. The misal is hearty, spiked with garlic and green chillies and topped with a mishmash of sev and gravy. The breakfast dish of spicy sprouts was brought by migrant workers from the interiors of Maharashtra. Pune’s new migrants are students as well as expatriates and corporate workers in the hip high-rises of Viman Nagar, Koregaon Park and newer localities. Beyond bhakarwadi and Lakshmi Narayan chivda, now retailed even on Amazon, and the taste of the old Parsi bakery Kayani, their connect with old Pune may be negligible. New Pune has newer haunts for them. The city has a thriving craft beer culture and some of its microbreweries like Doolally, which opened in 2009, have expanded to Mumbai. In the last twothree years, Pune has seen an explosion of top hotels. Champagne Sunday brunches, hipster cafes, pop-ups by specialist chefs and a thriving farm-to-table movement now define its emerging culture. Karen Anand’s farmers’ market, started five years ago, completed its 50th edition recently. 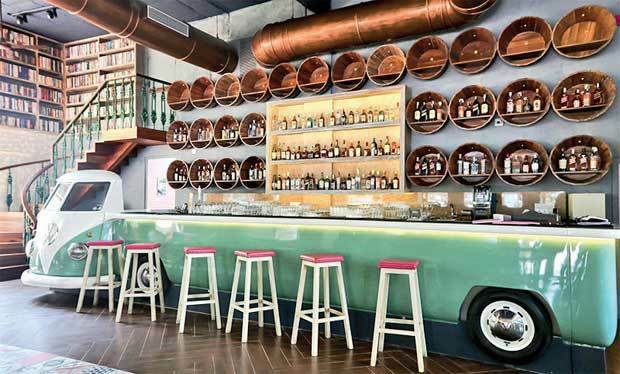 Then there are chains like Riyaaz Amlani’s co-working bar-café Social, Mumbai chef Irfan Pabaney-led Sassy Spoon and Zorawar Kalra’s Farzi Café that cater to a younger audience. Concepts are also being incubated for possible national roll-outs. VM Hospitality, a venture by Coimbatore-based auto parts maker Pricol, has launched Savya Rasa. The brand brings food from micro regions in the South (Kongunadu, Chettinad, Malabar, Mangaluru, Mysuru and Nellore). The old Puneri culture, naturally frugal, did not take to eating out. Restaurants, however, define the city¡¦s new lifestyle. Sometimes, two cities with two distinct souls exist within the same area. Geography is just a coincidence.